1 Owner, Low Mileage Agent Unit With Complete Agent Service History! Call Us Now And Book A Test Drive. Look No Further! We Are The Mazda Authorized Dealership! sgCarMart is the number one car classifieds for parallel import cars, Toyota, Honda, Nissan, Mitsubishi & BMW. There are plenty of cars for sale, from vans, trucks, sports cars or stationwagons, SUV, MPV, hatchback, to COE cars & OPC cars. You can also buy from a car auction, look up car loans, financial services, low mileage cars, car brands, carpark rates & car insurance. 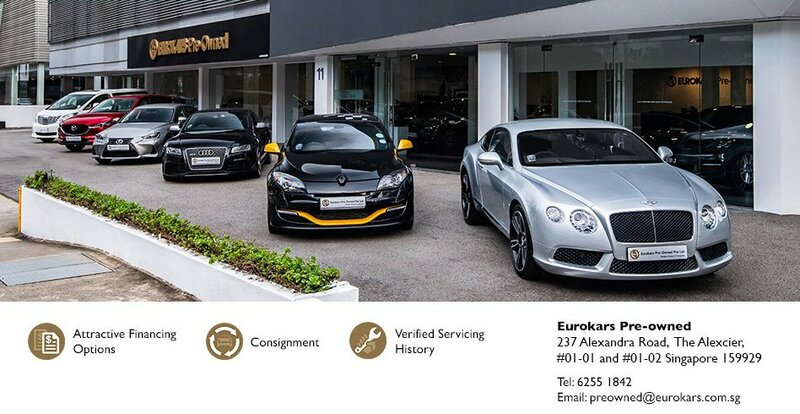 Find Eurokars Pre Owned, used car dealer, car dealer Singapore or Eurokars Pre Owned Singapore. We have new car dealers comprising parallel importers, authorised car dealers, and used car dealers on our site. Find new car price lists, new car launches and new car promotions. Visit our partner sites for job openings for Singapore jobs, real estate properties for sale, mover, car performance parts, car discussion, forum discussion, commercial vehicle leasing & COE results.